Birks Road, Newby Bridge, Cumbria LA23 3PQ. 19th April - 22nd April, 2019. 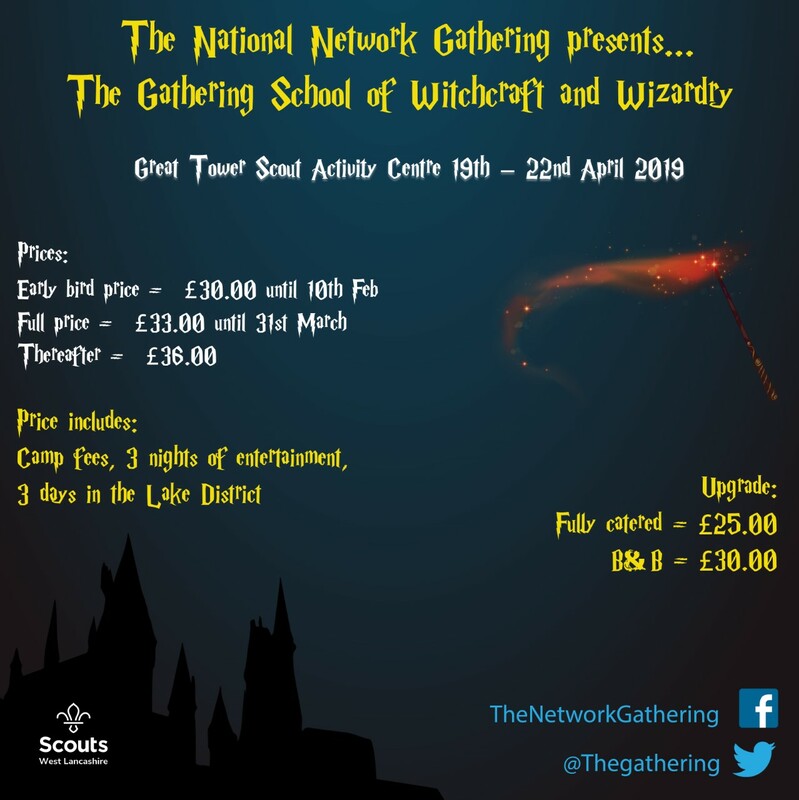 The National Network Gathering is held annually over the Easter weekend at Great Tower Scout Campsite, in the heart of the Lake District. The Gathering is a 3 day event purely for Network members where you can camp or upgrade to indoor accommodation. The fun begins on Good Friday and continues until Easter Monday. We provide activities but equally are more than happy to support you in organising your own programme. The fun continues during the evening with pub quizzes, karaoke, live bands and DJs.